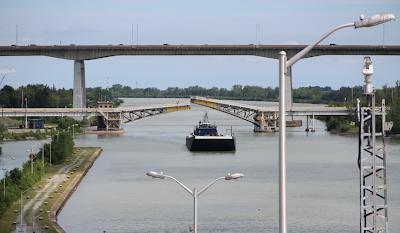 Last weekend, we took the kids to Niagara Falls for a few days and afterwards we stopped off at the Welland Canal on our way to the Toronto Ribfest. The kids had never been and I hadn't been back since I was a kid. 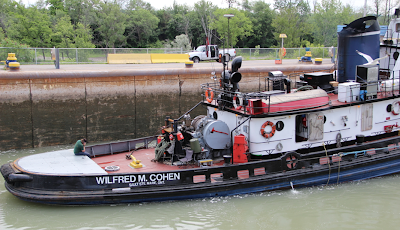 We lucked out as we arrived just in time to see the Wilfred M. Cohen from Sault Ste. Marie enter the lock. The place has really changed a lot. The Visitor's Information trailer has been replaced with the impressive Welland Canals Centre which houses a miniature display of the canal, a museum, and more importantly, clean facilities! 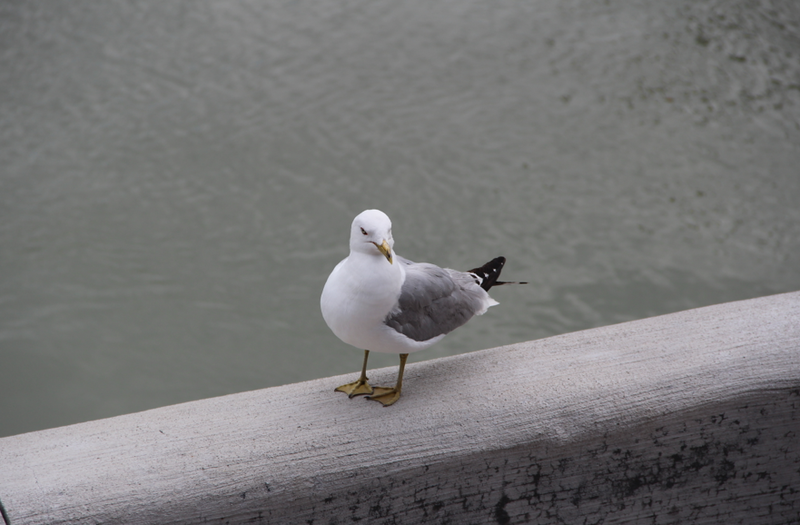 And of course, we can't forget the seagulls. 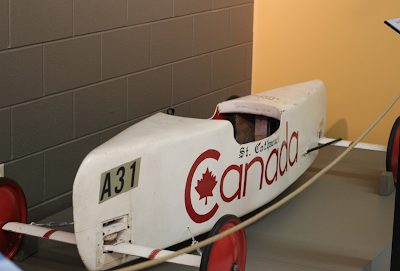 Stopping for Wordless Wednesday? Link up your posts below. That looks like a nice place I like the miniature too, there is a canal near me here in central London I love to go down there and look at the quaint houseboats. 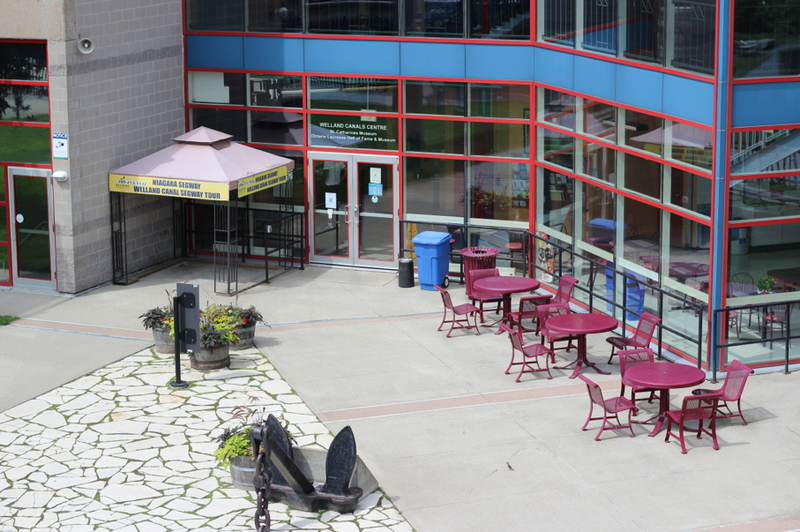 They really did a nice job with the visitor's centre. Makes me wish we lived closer to a canal. I could watch the boats pass through all day long! I really need to go to Niagra Falls! They have really updated a lot of things and added to it, which is always refreshing. Great shots. The detail on the miniature is incredible. Thanks! 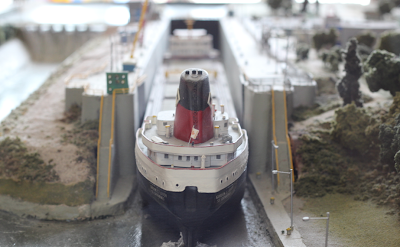 The miniature was really neat and quite accurate. What a fun place to visit, bet it was a great time! I witnessed some of those canals in the PNW on Puget Sound years back but what you saw is massive compared to mine. Great shots! That was an interesting trip! Thanks for hosting. I would love to make a trip to Niagra Falls too! We were in Niagara on Friday night! We'll have to stop sometime and check out the canal! That's an awesome place to bring the kids! I bet they loved it. It is. Lots to see and do! Hope you get a chance to visit one day. This looks like a great way to spend a day! I have never been to Niagra Falls, but would love to go some day. Great shots! I have been several times and I never tire of seeing such a majestic sight. Hope you get a chance to visit sometime. Hubs used to live there for a stint, we spent a lot of time in that area! Wow! Cool photos!!! I love Niagara Falls! I can go there countless times and see something new each time. Me, too! I never tire of seeing the majestic sight of the falls. Cool, I haven't seen the visitors center, but my Grandfather spent his whole life working at the Welland Canal (I think he retired in the 1980s). Get outta town! Really? That is so neat! 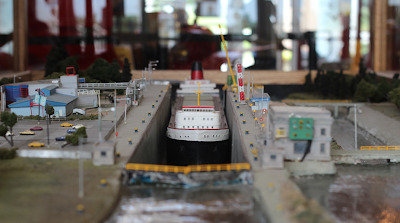 What a great tour to take, I love anything miniature the canal looks neat!Thanks for stopping by Oh My Heartsie Reviews this week!! Happy 4th of July!! The canal is really cool. I could hang out there all day. I love that mini display. That's really neat - my boys would love as much as the real life Wilfred M Cohen! These are all great pictures. I love to see what's going on around the water. So good that they fixed it up! It looks like great fun. Very cool! I have never had the opportunity to see an actual canal. Great shots. Love the miniature. I've never been to Canada. Thanks for the photos. 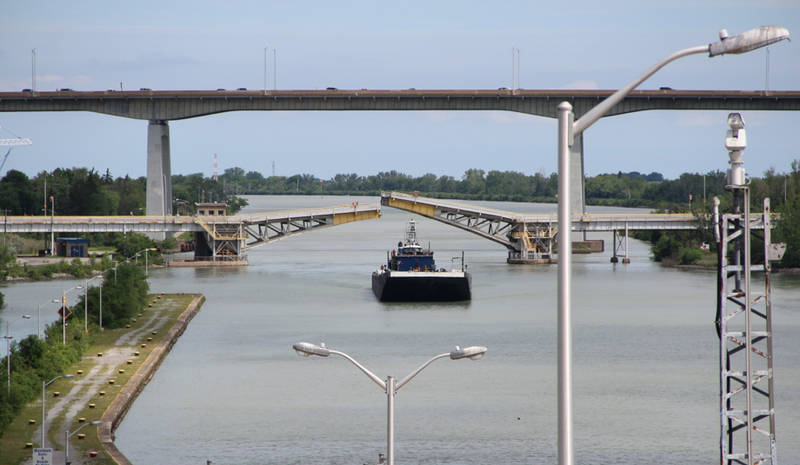 I've never been along the Welland Canal by boat, but I think it would be a fun vacay for sure! 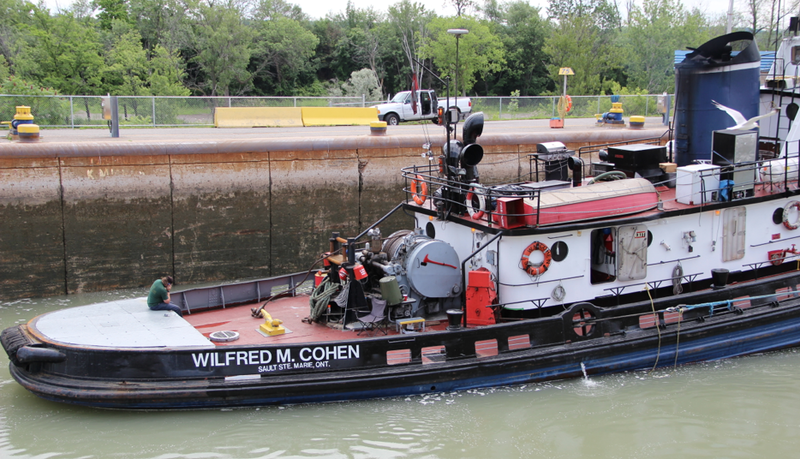 The Welland Canal is such a cool place to visit. Love watching the ships in the locks. I actually live in Welland and seeing the New canal is always nice but I walk my dog at the old canal all the time and that's where the rowing club is which hosted the events for the International events. Plus there's new events every year for rowing etc. 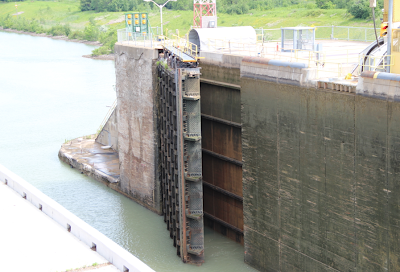 But to see the locks you have to go to either Niagara Falls or St. Catharines.